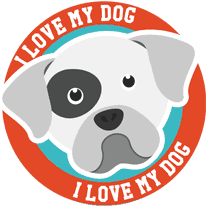 Our goal is to keep your family fur members home with you and out of the shelter. Operating on Tuesdays from 11:00 am – 5:00 pm. 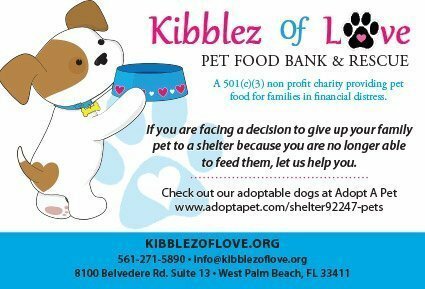 Kibblez of Love is located in Palm Beach County, Florida. 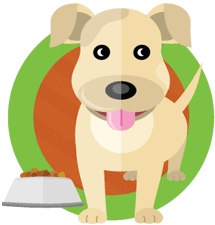 We are dedicated to assisting struggling families located in Palm Beach and Broward counties by feeding their pets, as well as offer referrals for low cost vet care and sponsor spay/neuter surgeries for their pets. We understand the animal to human bond, and believe that it is something that should not be broken or torn apart due to financial set backs. Everything you need for the life of your pet!